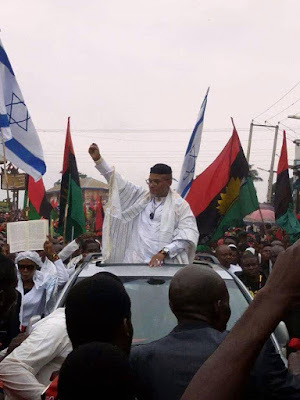 The obvious decline of the Nigerian Federal High Court to order the Nigerian Army to release the leader of the Indigenous People of Biafra, Mazi Nnamdi Kanu who was captured by the Nigerian Army since September 14, 2017 is a serious conspiracy against Biafran youths at the command of Nnamdi Kanu himself and a dangerous invitation to anarchy in West Africa at the fullness of time. This is like a dangerous invitation to violence by the Biafran youths all over the world in the sense that whenever the judiciary fails to render justice as it is, it simply means that the offended should resort to extra-judicial self help in rescuing the situation under reference. 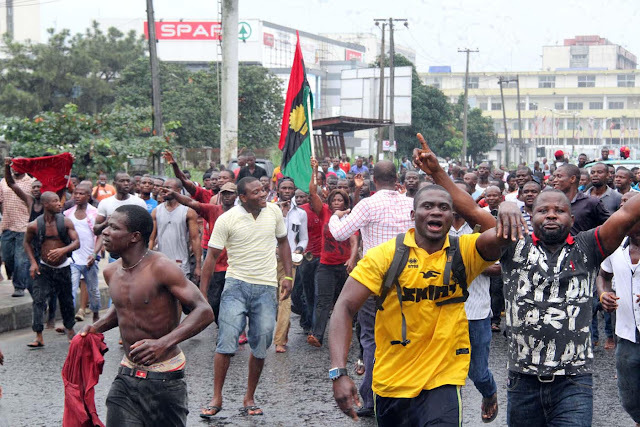 The youths under the Indigenous People of Biafra worldwide have waited for too long in expectation that the Nigerian Judiciary would save the deteriorating situation in West Africa. It is believed that the Court would uphold justice. The Nigerian Army invaded Nnamdi Kanu's home on the 14th September, 2017 and captured him, rather than telling the Nigerian Army to release him unconditionally or bring him to court, the Nigerian Federal High Court presided over by Justice Binta Nyako refused to uphold justice. The Nigerian Army is holding Nnamdi Kanu incommunicado instead the Federal High Court continued to play the script of the Nigerian government over the case. It is important for the whole world to know that the Nigerian judiciary, out of their dereliction to statutory duties, is pushing the aggrieved Biafran youths into violence by refusing to order the Chief of Army Staff, Gen Tukur Buratai to release Nnamdi Kanu whom the Nigerian Army at his command took away since September 14, 2018. The Nigerian Army has kept him incommunicado for too long and it is time for the Biafran youths to resort to extra-judicial self help by rescuing their leader from the Nigerian Army detention facility. The people of Biafra worldwide have lost confidence in the legal system of Nigeria and thereby gradually loosing patience by the inactivity of the Nigerian judiciary on the matter before her. As it is at the moment, the Biafran youths could use any means necessary within their reach to rescue their leader from the Nigerian Army detention facility no matter the barrack where he is kept because our Intel's are in all military cantonments and barracks across Nigeria. It is not in the original plan of the peace loving Biafran youths to resort to violence or any form of extra-judicial move towards the rescue of the leader of the Indigenous People of Biafra, Mazi Nnamdi Kanu, but the body language of the Nigerian judiciary is simply a call to extra-judicial self help to rescue their leader. If the people of Biafra fail to get justice from the court, I do not know where else would the people go in search for justice and that is why another step is taken to rescue our leader from the Nigerian Army dungeon. Let nobody blame Biafran youths should they take any other step towards the rescue of their leader from the Nigerian Army. It is in the Vanguard Newspaper on January 26, 2018 that the court declined in ordering the Nigerian Army to release Mazi Nnamdi Kanu. If the court continues to decline in their supposed responsibility, then the people of Biafra are told indirectly to take laws into their hands. May the Nigerian judiciary never allow the capturing of Mazi Nnamdi Kanu snowball into serious crisis due to their ineptitude because it will be like a dangerous wind which will blow nobody any good. The youths are running out of patience and could revolt any moment from now if the Nigeria Judicial Council fails to arrest the situation on time by giving IPOB the justice it deserves by compelling the Nigerian government to release Mazi Nnamdi Kanu from wherever the Army kept him since September 14, 2017. I rest my case!